Pinedale resident Laura Hattan climbing the Blue Room on Fremont Lake in Pinedale, WY. Photo: Wesley Gooch. Fremont Lake is situated three miles north of Pinedale, Wyoming. Aside from the Wind River Mountains, the lake is considered by locals to be Pinedale’s recreational hub. 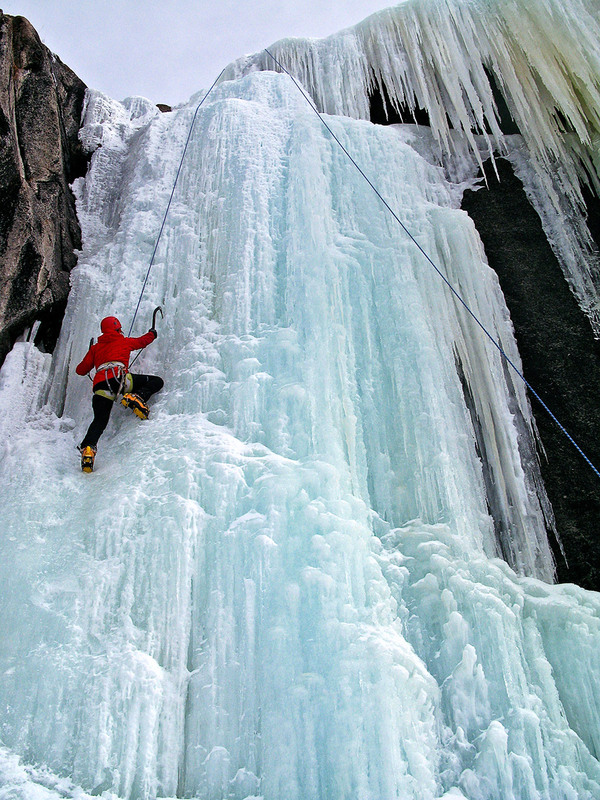 For climbers, the northern half of the lake is home to outstanding rock climbing in summer and a variety of spring-fed ice climbing in winter. Good ice consistently forms by early December each year but access doesn’t get good until the lake freezes over. 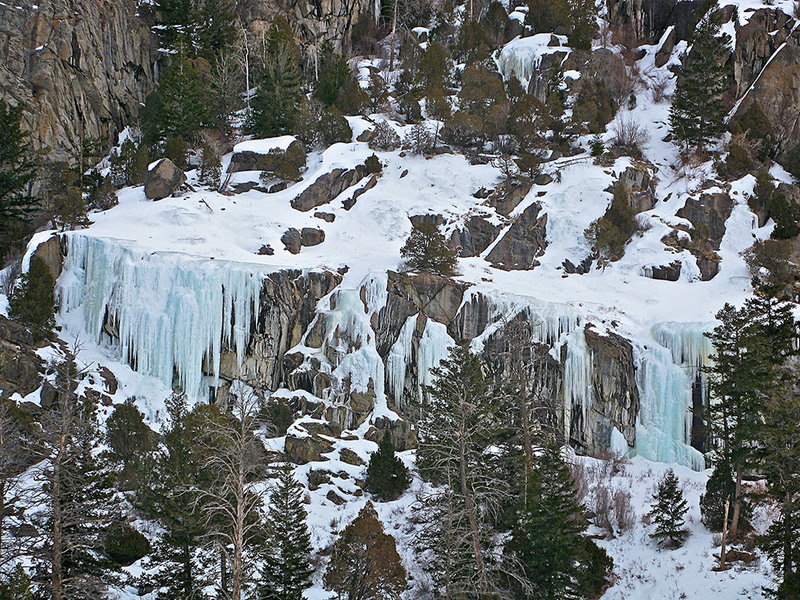 Despite a few scattered icefalls near the very head of the lake, the best ice is concentrated in a section of cliffs approximately four miles north of the lake’s Upper Boat Docks, above the eastern shore. 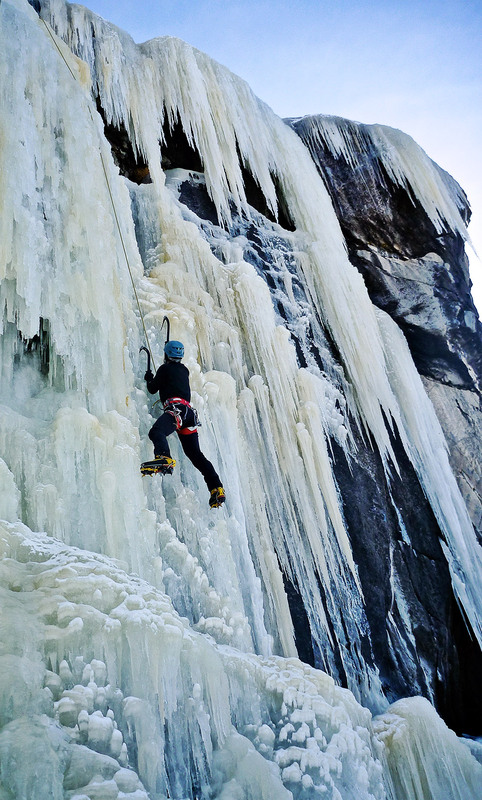 It may be easier to gain your bearings from a large peninsula, less than a half-mile north of the ice climbing, called Moosehead Bay. There are two approach options. The recommended approach is to snowmobile (or ski) across a frozen Fremont Lake. Alternatively, if Fremont Lake hasn’t frozen yet, one can painstakingly access the icefalls via scrambling down from Skyline Drive but this option requires some gnarly bushwhacking. The best option is to wait for Fremont Lake to freeze. The map icon labels the location of the Main Wall. 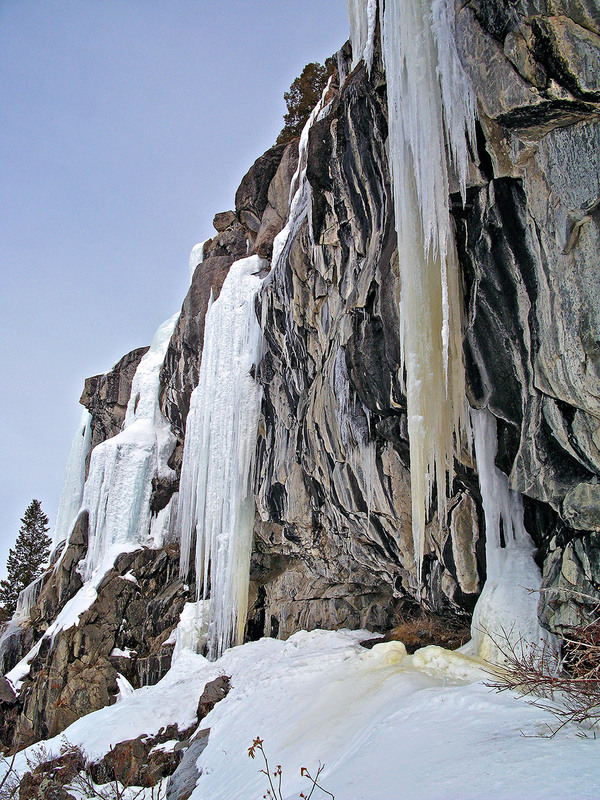 The lake’s most ice-covered cliff has several flows and some mixed routes to choose from. The Main Wall is about 15-18 meters (50-60 ft.) high. The best route is an icefall called The Blue Room. The Blue Room is a 15 meter high WI 3+ to WI 5 ice curtain on the cliff’s right hand side. 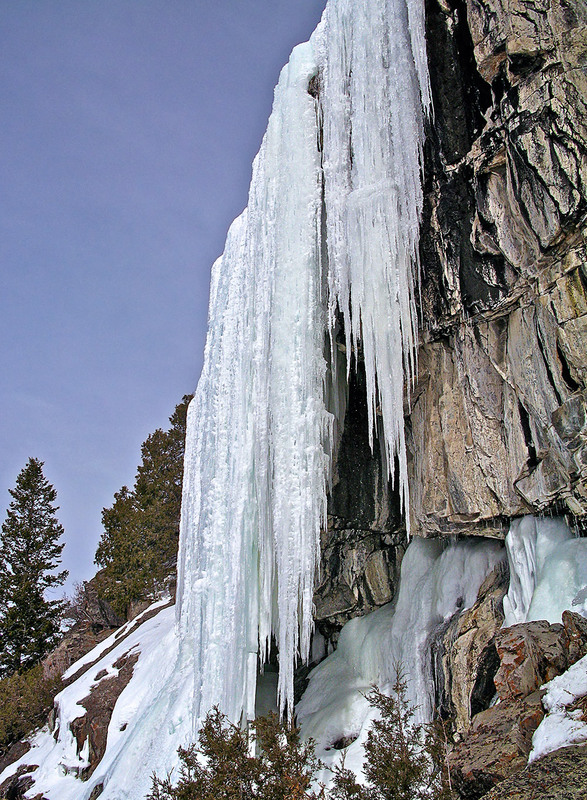 Two bolted mixed lines (by Greg Collins) ascend the cliff directly left of the main wall of ice. Additional mixed potential (via top rope) exists as you follow the cliff line further left. On a good year, several of the mixed routes will fully form to the ground. Thirty feet above The Blue Room is a bolted anchor. If you’re not up for leading, access the top rope anchors via the gully directly right of the cliff. Bring a long section of webbing if you intend to top rope. 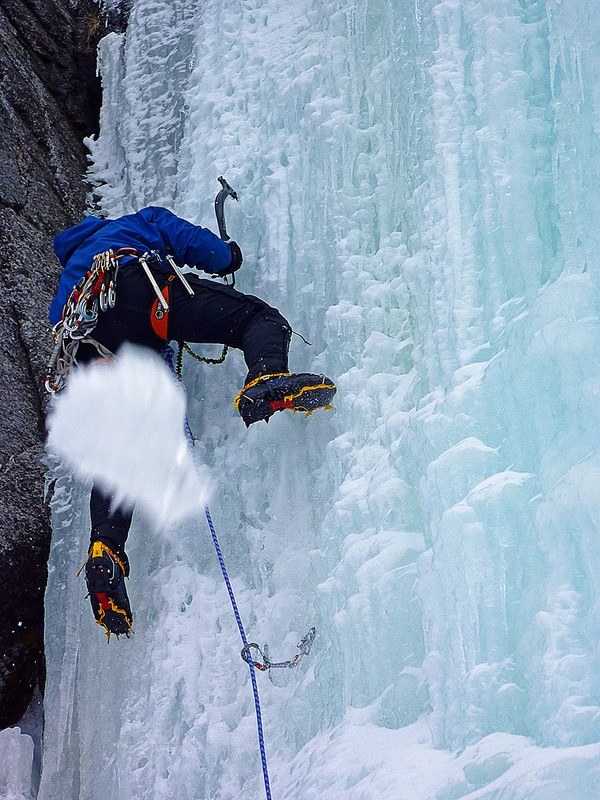 Depending on the year, there are a good six to twelve other icefalls in the vicinity of the Main Wall. Of these, the most noteworthy is the 30-40 meter high flow that forms above and right of the Blue Room that’s considered Fremont Lake’s prized line and it goes at WI 4+ to WI 5. Unfortunately, as of February 2011, that flow was bone dry. 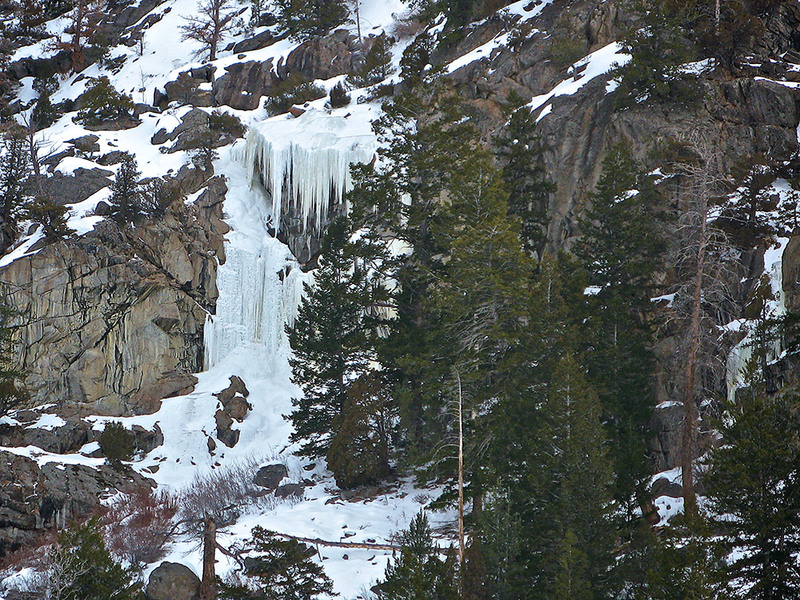 It’s worth noting that there are several other icefalls near the head of Fremont Lake, above the eastern shore. Of these, are a few that consistently form each year. One icefall in particular, forms in the early spring melt/thaw cycle, is about 150-200 feet long, low angle, and probably WI 3. Bring an adventurous spirit if you brave the hefty approach. 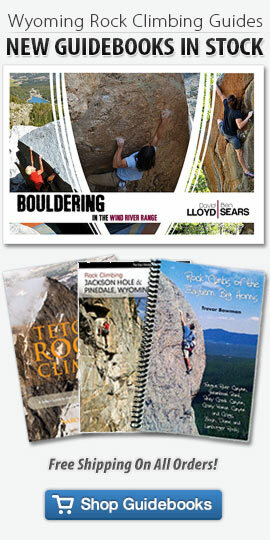 Fremont Lake Ice is included in the Guidebook Rock Climbing Jackson Hole & Pinedale, WY.